As a baseline for reference, a Florida supervised/safety focused parenting plan is a unique parenting plan the Florida Courts will consider if the parties are amenable, or if a family law trial yields a victory for its merit. A parenting plan itself is always required in Florida family law cases involving minor children (kids under 18 years of age). In fact, in Schwieterman v. Schwieterman, 114 So. 3d 984 (Fla. 5th DCA 2012), the Court decided/affirmed “There is no presumption for or against any particular time-sharing schedule, including one calling for a fifty-fifty division of time, and instead, the sole requirement is that the time-sharing schedule must be set in accordance with the best interests of the child. West’s F.S.A. § 61.13(3). A Florida supervised/safety focused parenting plan is unique in that it takes a more serious and cautious approach to co-parenting. A safety-focused parenting plan is a serious matter requiring great care and attention to detail by the person petitioning for it. The presumption behind a Florida supervised/safety focused parenting plan is that shared parental responsbility (mutual decision-making and mutual parental authority) is not in the best interest of the minor child(ren). The person arguing on behalf of safety-focused parenting plan is telling the other side and the court that the kid(s) should not ever be home alone with the parent that allegedly presents a danger to their welfare. 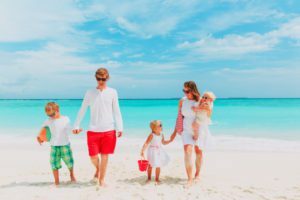 Generally, if a Florida supervised/safety focused parenting plan, the parties themselves or the Court itself must provide for a third-party to be present whenever the minority timesharing parent spends time with the child(ren). As with any parenting plan, to be approved by a Florida family law court, a Florida supervised/safety focused parenting plan must provide for how the parents will apportion responsibility and daily activities with/for the child(ren), particularize how much time each parent will spend with the child(ren) and when, make health care and school-boundary designations, and furnish the means/method(s) by which both parents will communicate with their children. The Courts also make it abundantly clear that Florida Statute 61.13 subsection 3 will be used as a barometer for determining what is in fact in the best interest of the minor child(ren). How does a Florida Supervised/Safety Focused Parenting Plan Work? According to the safety-focused parenting plan rubric, both parents may cooperatively choose the person(s) supervising the child(ren), specify the level of supervision, and mutually agree upon how to share the cost(s) associated with this additional layer of security. Similarly, both parents may agree to visitation with supervision at a specific facility, or choose a location where supervised timesharing may occur without significant interference or disruption. As you may have inferred, because safety-focused parenting plan involves additional measures of security for the protection and well-being of the child(ren), the degree and type of communications between the supervised-parent and the child(ren) must be identified with particularity. Why Choose a Safety Focused Parenting Plan? Furthermore, because of the background between the parties that likely has led to the suggestion or implementation of a Florida supervised/safety focused parenting plan, the plan must address whether firearms must be removed from the premises, whether alcohol must not be abused prior to visitation, that the child(ren) shall not be subject to physical or mental abuse, and may also identify specific persons that under no circumstance may be allowed near the kid(s). In essence, a Florida supervised/safety focused parenting plan is intended to protect a child or children that have been abused (at least allegedly) or subject to parenting methods that could be considered detrimental to their best interest and health, safety, and welfare. It is a parenting plan (in its very foundation) that is above and beyond a routine arrangement.